Q. If you could choose a character to be in your ideal party, who would it be? The top four characters of choice were Terra Branford, Celes Chere, Locke Cole, and Shadow! Many chose their favorite characters, or characters that were just plain strong. A lot of people seemed to appreciate the characters' background stories, especially since everyone has a rather complicated and colorful past. Wielder of magic Terra and treasure hunter Locke were often paired together due to their relationship in the story. We'd like to introduce some of your ideal party compositions! "Because I like the diversity of their unique fighting skills." "They are all strong attackers. I enjoy a strong offensive-focused party." "They are cool, relatable, strong characters, and we would get a bonus Interceptor!" "Celes - Ultimate Mage. Mog - Cute AF. Sabin - Bum Rush! Gogo - Bum Rush Again!" "Strago would be a good addition. Also Relm his granddaughter [would be too]. I loved her draw[ing] ability." "Esper form + Chainsaw + Interceptor + Mime = a really good time!" Thank you for all your votes and wonderful comments! 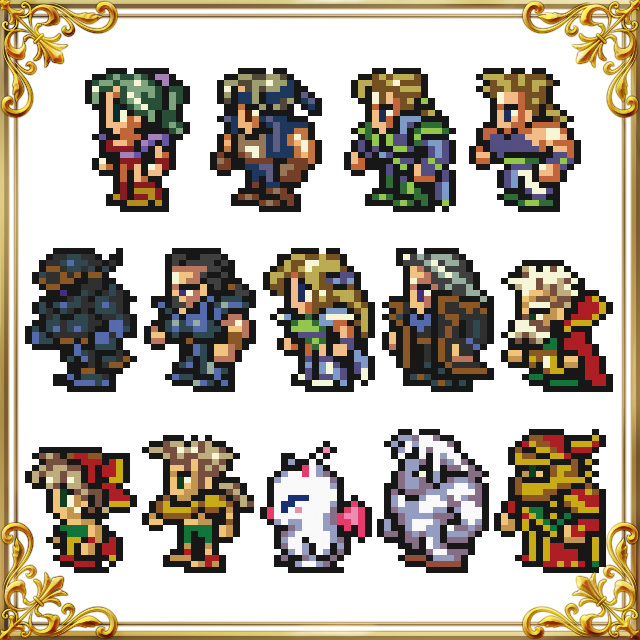 FINAL FANTASY VI celebrates its twenty-fifth anniversary on April 2! 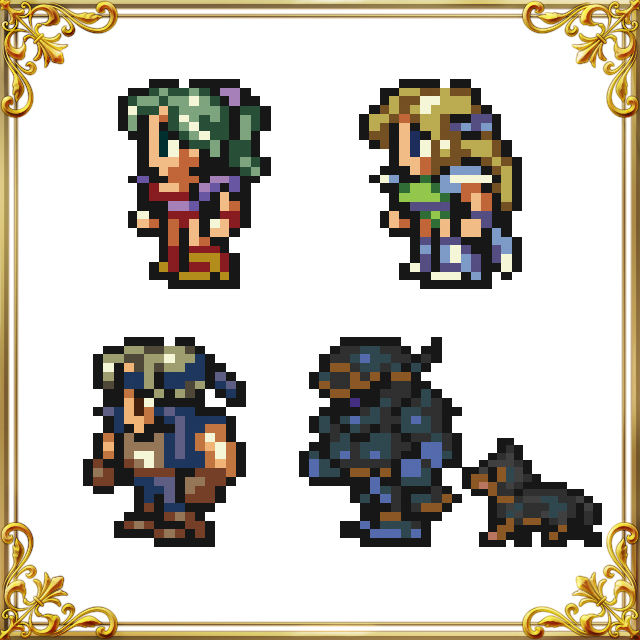 The theme of today's poll is characters from FFVI.